BRICKS 4 KIDZ® After School Classes on the Sunshine Coast build on the universal popularity of LEGO® bricks to deliver a high quality of educational play! Our one hour classes explore architecture, engineering and technology concepts. Students participate in term-long sessions constructing a new model each week, based on exciting themes from space to sports, amusement parks to animals. We Learn – Teachers provide a 5-10 minute themed lesson. We Build – Students build the model of the day with simple step by step instructions. We Play – Students explore their own creativity through free play time. 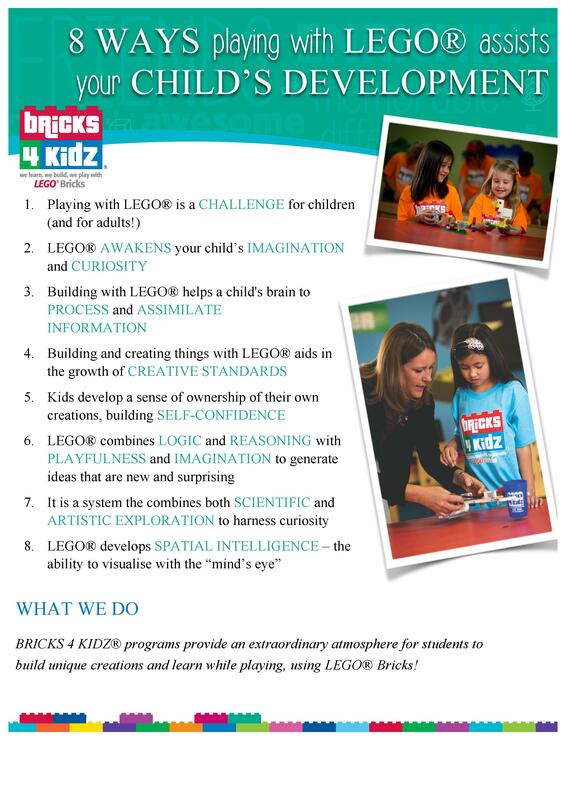 These schools are currently offering BRICKS 4 KIDZ® After School Classes – these are for students of these schools only. To bring our After School Class program to your school, contact us – we’d love to hear from you!